Create a unique team look with bold, bright colors in our UltraFuse line's standout designs. What is UltraFuse? UltraFuse is a dye sublimation technology in which colors, designs and logos are heat infused directly into the fabric. UltraFuse i s made with a lightweight and breathable fabric for the ultimate stretch and movement. Another feature of UltraFuse is G2M Moisture Management Technology which is designed to pull moisture away from your body to keep you cool and dry. UltraFuse items can be customized with thousands of art templates and 40 color options. The item price shown includes names, template art and color changes – no additional charges for multiple art placements! Your first order needs a minimum of 6 items to start production on your design. 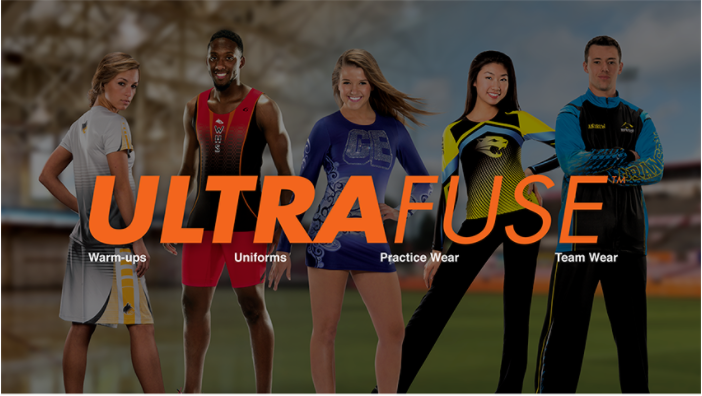 UltraFuse does not follow Champion Teamwear's standard turn time and is subject to change at any time. For current turn times on UltraFuse, contact a sales representative at 1-800-336-4486.